At our office, our mission is to deliver the highest quality care along with world class customer service. We are committed to delivering the very best results for you and your family whether it’s delivering the perfect smile or helping you achieve total wellness. When you join our practice you will see and feel the difference. Quite simply, we love what we do and it shows in our treatments and results. 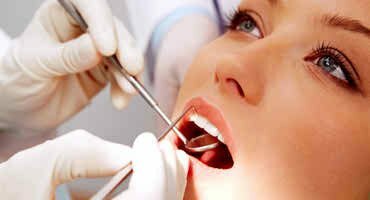 Going to a dentist in La Grange, IL for most is usually not a favorite thing to do and can be overwhelming at times. However, our oral health is very important to our over all physical health not to mention our self-esteem when we are embarrassed with our smiles appearance. The longer we go without treatment and regular exams can actually lead to more expense down the road. Advancements in dental technology now allow us to provide a high level of care and comfort for our patients. Here at Healthy Smiles of La Grange, we make it our mission to make you as comfortable and anxiety-free as possible. If you wish, we can even give you a tour of our office and answer any questions you may have. Dental exams and checkups are more important than ever and can save you money over the long haul. Many of the energy drinks we have today have acid in them that can erode away our enamel not to mention all the effects that sugar has on our teeth. If you end up waiting long on those check-ups and exams with a kids dentist in La Grange IL, it could cost you more as problems can become bigger ones if left undetected for a long time. Call our office in La Grange, IL today and get that check-up scheduled to maintain your oral health. Please Note: The $59 Exam and X-Rays is for No-Insurance Patients. If you are an insurance patient, you will receive the free custom whitening trays.